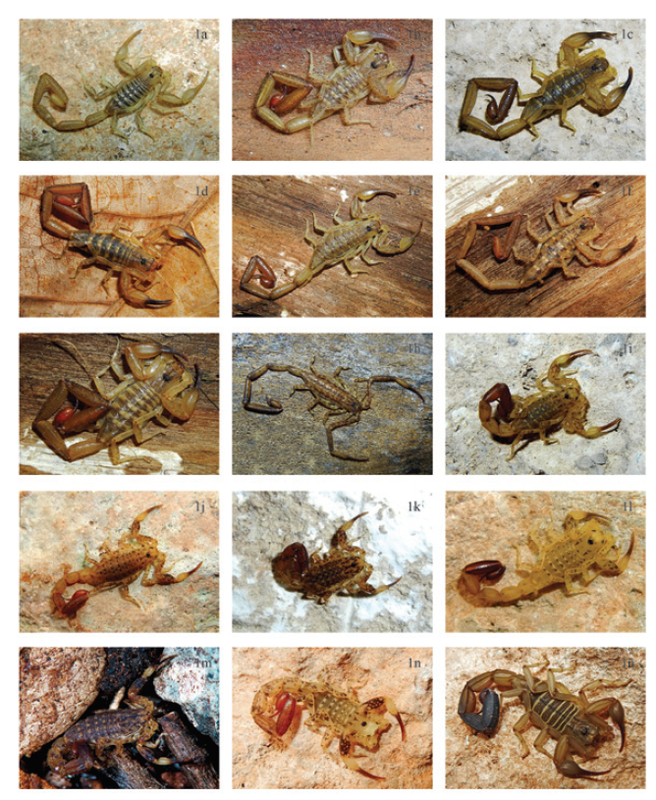 Gabriel de los Santos and co-workers published an annotated list of the known scorpions from Hispaniola (Dominican Republic and Haiti) in 2016. I just recently learned about this article, hence the late mentioning in the blog. The article is in Spanish. It is given an annotated list of the known scorpions of Hispaniola (Dominican Republic and Haiti), which belong to three families (Buthidae, Hormuridae, Scorpionidae), eight genera and 46 recent and four fossil species. Buthidae (five genera and 37 living species) is the most diversified family in this Antillean island, being Tityus C. L. Koch, 1836, Microtityus Kjellesvig-Waering, 1966, and Centruroides Marx, 1890, the most diverse and widespread genera with 14, 12 and seven species, respectively. The Dominican Republic (that represents the eastern two-thirds of the island), has 45 species and 36 of them are endemic from the country, whereas Haiti accounts nine species with a single national endemism. Isometrus maculatus (De Geer, 1778) has been introduced in both countries and is the only non-endemic species. This is the only Antillean island which includes representatives of both the Hormuridae family and the fossil fauna (in amber). Thanks to Mack Diamond for informing me about this paper!